The fish Gerres oyena is distributed in different places of the world. Few studies were carried out on this species, though it has important economic value in the fishery of the Red Sea. Moreaver, no previous wok on the reproductive cycle took place for such species. So this study was carried out to follow up the reproductive cycle and mode of reproduction of Gerres oyena. 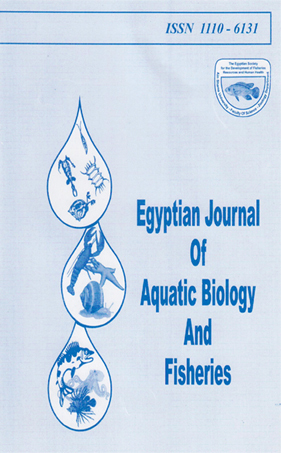 The fish samples were collected monthly from Suez Bay during the period from May/1997 to March/1998. The histological slides of testes showed five spermatogenetic cell types: namely: spermatogonia, primary spermatocytes, secondary spermatocytes, spermatids and spermatozoa. The maturation of the testes can be divided into eight stages, immature, developing virgin, maturing, mature, ripe, spawning, spent and developing recovery stages. Spawning occurred in July to late September. The discharge of sperms occurred as fractional manner. These results are useful in inducing spawning of this species.